About Business Plans & More, Inc.
Business Plans & More, Inc. was formed under the laws of Georgia on January 1, 2008 as a spin-off from our other company, Accounting Business Center, Inc. (formed January 1, 2000). We were awarded the title of “Small Business of the Month” by the Gwinnett Chamber of Commerce (one of the top three Chambers in the United States) for January of 2013. 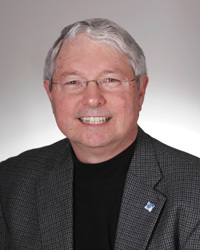 Georgia Association of Accountants and Tax Professionals (GAATP), a national organization, of which Bob is the Statewide past President. We are a past member of the North Gwinnett Business Association (Mr. Lamp'l is a past President of this group). Mr. Lamp'l is also an ambassador for the Gwinnett County Chamber of Commerce. The President and CEO of the company is Robert J. Lamp'l. Mr. Lamp'l has an M.B.A. with an extensive background in accounting, having 30+ years experience in the public arena as Corporate Controller, Accounting Manager, and Treasurer from small to large companies covering several industries in multi-state environments.He serves as a board member of numerous companies (for both profit and not for profit entities).